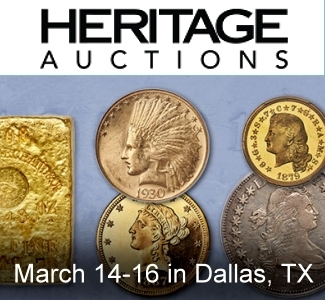 Stack’s Bowers Galleries is pleased to announce the results of their January 2016 NYINC auction of World Coins, World Paper Money and Ancient Coins. 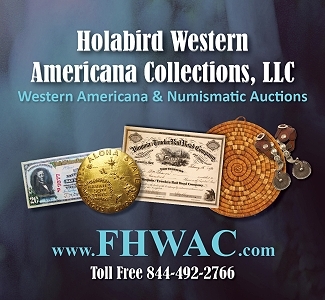 The firm’s first sale of 2016 featured a fabulous array of material that was anchored by several prominent collections, including Part III of the Syracuse Collection of highly prized Greek and Roman issues, as well as the legendary Lennart Philipson Collection of Swedish coinage. 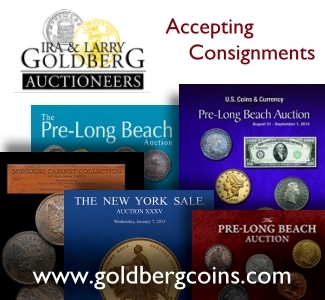 Other notable consignments included the Groh Collection of Czechoslovakia gold and the Dr. Michael Phillip Collection. Overall results were a vote of confidence in the current market, with over $3.9 million in prices realized (including standard buyer’s premium). Within the first two dozen lots of the sale, an appearance was made by Dionysius I of Syracuse in the form of a Kimon-signed Decadrachm. 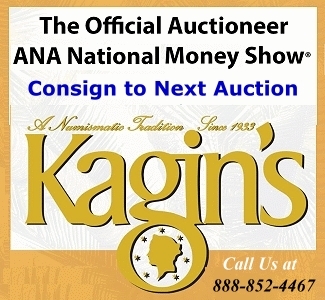 The magnificent Almost-Uncirculated masterpiece bearing multiple Kimon signatures garnered a winning bid of $44,650. The very next lot featured another Decadrachm of Dionysius I of Syracuse, an unsigned Euainetos Decadrachm that sailed past high estimates to finish at $22,325 in active bidding. A similar example followed, featuring a dot below chin die type that fetched an impressive $23,500. 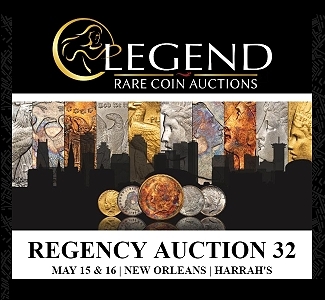 Other notable ancients included lot 30097, a previously unpublished Lion Stater, possibly of Ionian or further eastern origin, which destroyed all estimates before coming to rest at $21,150. The sale continued with the Lennart Philipson Collection. 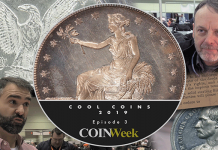 Many of the most highly prized coins soared past high estimate, demonstrating both the desirability of the coins within the collection as well as the strength of this portion of the market. Lot 40006 presented bidders with perhaps a once-in-a-lifetime opportunity to acquire an extremely rare 1561 Half Riksdaler. 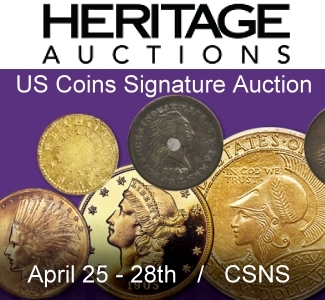 One of only three reported examples known, the coin attracted a winning bid more than double high estimate closing at $32,900. 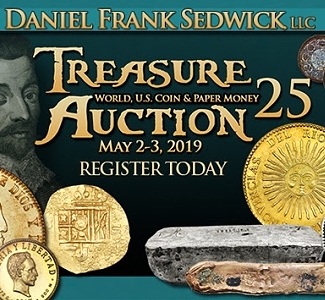 Other notable coins from this collection included a 1594 Sigismund Daler with misspelled legend that finished above high estimate at $28,200 and a 1658 Karl X Gustav gold Dukat that realized more than triple high estimate at $25,850. In all, the Philipson Collection brought in more than $440,000 and demonstrated the benefits of collecting only the best available material. The sale progressed with fierce bidding on much of the Austrian material. Lot 40123, a 1486 Austrian Guldiner of Sigismund, widely considered the father of European Taler coinage, soared to more than double high estimate closing at $14,100. Straight graded examples like the piece offered are nearly non-existent, and specialists in Austrian Talers hotly pursued the coin. Among other notable lots sold during session “A” was lot 40355, an 1853 France 5 Franc uniface gold pattern struck for Louis Napoleon III, which sold for more than triple high estimate at $24,675. 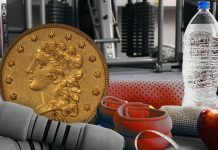 Nearly all of the French gold coinage in the sale had similar above high estimate results, as this segment of the market has strengthened considerably in recent months. The auction reconvened on Saturday evening beginning with German issues, including a fantastic array of German multiple Talers and klippes. A massive 1609 Heinrich Julius 10 Taler from Brunswick-Wolfenbuttel changed hands for more than double high estimate at $22,325. A Frankfurt gold medallic 5 Ducat struck for Leopold I (1658-1705) commanded a bid considerably above high estimate at $17,625. Among coinage of Great Britain was a fabulous selection of highly desirable gold coinage with Edward III, Elizabeth I and James I each represented by spectacular rarities. Lot 41052, a Sovereign from the reign of Elizabeth I, easily surpassed high estimate at $23,500. The next two lots, a Rose Ryal and Spur Ryal of James I both crushed estimates, selling for $32,900 and $94,000 respectively. Much like the French gold, the British gold coinage produced impressive results across the board. Lot 41069, an impaired 1887 Five Pound surged at the finish line and realized over 40 percent above high estimate at $2,820. Among the silver coinage offered from England, far and away the star of the sale was lot 41081, a unique 1926 pattern uniface Crown that reached a stratospheric bid of $32,900 on an estimate of $15,000 to $20,000. 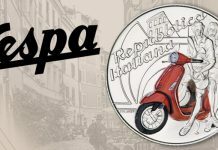 This year’s sale featured a significant concentration of Italian Peninsular issues, a panoply of coinage from ancients to modern. Among the most desirable, lot 41181, a Messina Sicily gold Augustalis (after 1231) struck for Frederick II rocketed to $17,625, considerably above high estimate. 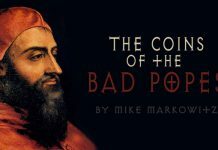 The coin had the perfect combination of historical relevance and incredible preservation, which did not go unnoticed. Other richly rewarded high quality coins included lot 41134, an MS65 graded 1848-M Lombardy-Venetia 5 Lire that reached nearly quadruple high estimate before the bidding closed at $3,760. A pair of 1914 Italian 5 Lire provas, lots 41197 and 41198, set the pace for more recent issues, realizing $14,100 and $12,925 respectively. Latin American issues did not disappoint, with a number of surprising high prices. 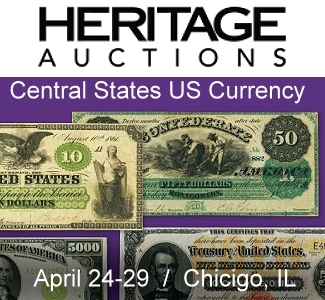 Lot 41311, a 1904 Panama 50 Centavos in MS65, achieved what is likely a world record for the issue, selling for nearly five times high estimate at $4,935. Among Peruvian issues, an 1837-BA South Peru 8 Escudo from Cuzco clocked a solid above high estimate bid of $17,625. Graded MS62, the coin is conceivably the most aesthetically appealing example extant regardless of grade. Minutes later, another condition rarity appeared as lot 41330, an 1882-MLM Peru Ayacucho 5 Pesetas that came within five dollars of double high estimate at $3,995. In the realm of exonumia, nothing came close to lot 41347, a silver serving tray inlaid with nearly 200 Polish Revolutionary Period coins in silver and gold. At better than double high estimate, the still functional tray realized $17,625 after heated competition. Among silver crowns, several coins scored impressive results, including lot 41357, the finest graded 1885-B Romania 5 Lei that vaulted above high estimate to $15,275 and lot 41492 an 1855 Shooting Festival 5 Franc from Solothurn, Switzerland that came within $25 of double high estimate at $19,975. Among other results worthy of mention, lot 50142, a 1920 Imperial Bank of Persia 50 Tomans, reached an impressive $18,800. 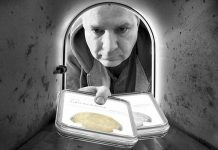 This year’s Internet-only sessions provided several outstanding surprises as well. Lot 31093, a silver Shekel of Tyre, sold for $4,465 on an estimate of $600 to $800, and lot 42246, an 1885 Cyprus Quarter Piastre, soared to $4,700, more than 15 times high estimate! 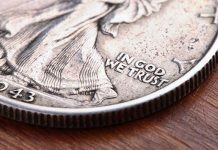 Without question, this year’s New York International Numismatic Convention sale was a resounding success. For those considering consignment to one of Stack’s Bowers Galleries’ future sales, the firm is currently accepting material for the April 2016 Hong Kong Sale as well as the 2016 ANA World’s Fair of Money Sale. 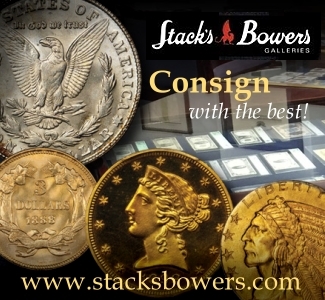 For more information call (949) 253-0916 or email info@StacksBowers.com.